I am full of mercy and grace and I overflow with love. slow to anger, and abundant in loving kindness. We live only a few miles from Niagara Falls. I am always overwhelmed by the sheer power and volume of the water that cascades over the brink of this natural wonder every second. When I think of the unending stream of God's love that He shows to us every day, I think of this natural wonder. As we continue our daily journey of reflecting on some of the promises of God in this New Year, may we always be reminded of how He sees us. The Lord is full of mercy and grace and He overflows with love towards us. Everything that He does is motivated by His eternal, unending kindness. May the Holy Spirit give us a deeper revelation of the character and nature of God this new year and may He dismantle any misconceptions of our Heavenly Dad that cause us to see Him as distant and angry. Our God and Father is good. 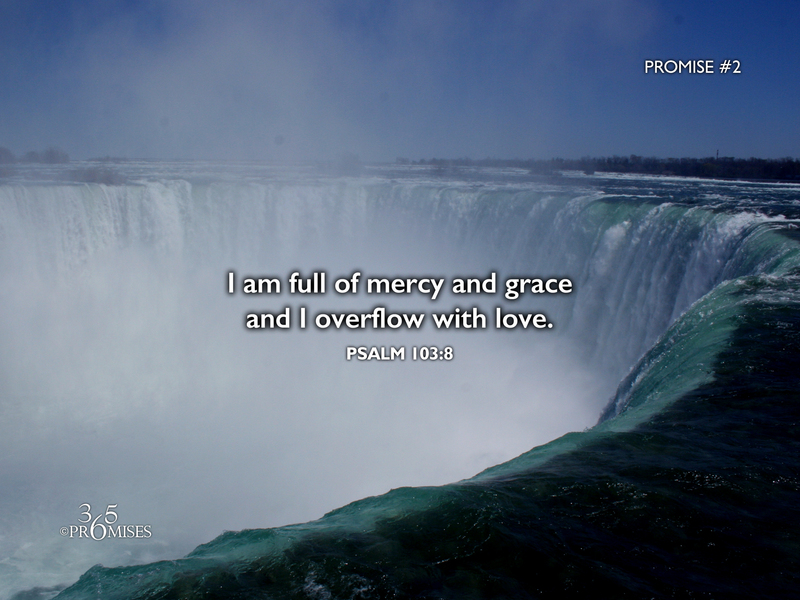 He is full of mercy and grace and just like Niagara Falls, He continually showers His love upon us. And His love will never ever end. May the revelation of the love of God continue to rush like a mighty river into your heart today.